RECOMMENDED: How to Apply for FUTMINNA Postgraduate Admission. See the list of courses advertised for the 2018/2019 academic session below. 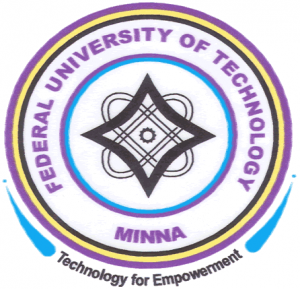 Complete List of FUTMINNA Postgraduate Courses and Requirements – MTech/MEng and PhD. ‘O’Level Entry Requirement: Candidates applying into any Department in the School of Agriculture and Agricultural Technology must have at least five ‘O’ Level Credits to include: English Language Mathematics, Biology /Agricultural Science, Chemistry and any one relevant Science subject. ‘O’ Level Entry Requirement: Candidates applying into any Department in the School of Engineering and Engineering Technology must have at least five ‘O’ Level Credits to include English, Mathematics, Physics, Chemistry and any one of the following: Biology/Agricultural Science, Technical Drawing, Geography or Economics. Ph.D. (Full-time and Part-time) MEng (Full-time only) in Communication Engineering. Entry Requirement: Minimum of five (5) Credits including Mathematics, English Language, Economics and any two Social Science or Science subjects. Entry Requirement: Minimum of five Credits including English Language, Mathematics, Physics, Economics and any other Science or Social Science subjects. Entry Requirement: Five ‘O’ Level Credits in English Language, Mathematics, Geography, Economics and one Science Subject. Minimum of five (5) ‘O’ Level Credits to include English Language, Mathematics, Physics and any two of the following: Chemistry, Technical Drawing, Economics, Geography, Building Construction, Fine Art and Surveying. O’ Level Entry Requirement: Minimum of five (5) ‘O’ Level Credits to include English Language, Mathematics, Economics and any two of the following: Chemistry, Technical Drawing, Geography, Surveying, Physics, and Agricultural Science/Biology. PhD (Full-time and Part time) and MTech (Full-time only) in Quantity Surveying. Specific Entry Requirement: Minimum of five (5) ‘O’ Level Credits to include English Language, Mathematics, Physics and any two of the following: Chemistry, Technical Drawing, Economics, Geography, Surveying and Agricultural Science/Biology. Entry Requirement: Minimum of five (5) ‘O’ Level Credits to include English Language, Mathematics, Physics and any two of the following: Chemistry, Technical Drawing, Economics, Geography, Elementary Surveying, and Agricultural Science/Biology. f) Department of Urban and Regional Planning. Entry Requirement: A minimum of five (5) ‘O’ Level Credits in English Language, Mathematics and Geography. The other two subjects must be from Sciences or Social Sciences. (Physics, Chemistry, Agricultural Science/ Biology, Technical Drawing, Economics or Government). O’ Level Entry Requirement: Minimum of five (5) ‘O’ Level Credits in English Language, Mathematics, Biology, Chemistry and Physics. O’ Level Entry Requirement: Minimum of five (5) ‘O’ Level Credits in English Language, Mathematics, Chemistry, Biology and any other Science subject except Agriculture Science. At least a Pass in Physics is required. O’ Level Entry Requirement: Minimum of five (5) ‘O’ Level Credits in English Language, Mathematics, Physics, Chemistry, and Biology. O’ Level Entry Requirement: Minimum of five (5) ‘O Level Credits in English Language, Mathematics, Geography and any other two from the following: Physics, Chemistry, Economics, and Biology/Agricultural Science. O’ Level Entry Requirement: Minimum of five (5) ‘O’ Level Credits in English Language, Mathematics, Biology/Chemistry and any other Science subject except Agricultural Science. O’ Level Entry Requirement: Minimum of five (5) ‘O’ Level Credits in English Language, Mathematics, Physics and any other two Science subjects. O’ Level Entry Requirement: Minimum of five (5) ‘O’ Level Credits in English Language, Mathematics, Physics, Chemistry and one other Science subject. ‘O’ Level Entry Requirement: Minimum of five (5) ‘O’ Level Credits in English Language, Mathematics, Physics and any two other Science subjects. ‘O’ Level Entry Requirement: Minimum of Five (5) ‘O’ Level credits in English Language, Mathematics, and three other Science subjects. Minimum of Five (5) ‘O’ Level Credits in English Language, Mathematics, Physics and any other two Science subjects. Minimum of five (5) ‘O’ Level credits passes in English Language, Mathematics, and any other (3) subjects. From Geography, Physics, Chemistry, Biology, or Agricultural Science and Economics or Accounting or Government. ‘O’ Level Entry Requirement: At least five ‘O’ Level Credits to include English Language, Mathematics, Physics, Chemistry and any one of the following: Biology/Agricultural Science, Technical Drawing, Geography or Economics. Professional Master in Disaster Risk Management and Development Studies (Full-time only). Five ‘O’ Level Credits including English Language and Mathematics and any of Geography, Biology/Agricultural Science plus any two subjects. Minimum of Second Class(Lower Division) Bachelor’s Degree in Sciences, Social Sciences, Medicine, Agriculture, Forestry, Environmental Sciences and Engineering, Town Planning etc. from recognized Institutions. Third class Degree with Postgraduate Diploma in any of the areas listed above and at least 3 years of working experience in relevant fields may be considered. In Addition to (i) and (ii) above, a minimum of five (5) ‘O’ Level Credits in English Language, Mathematics and any other three subjects in either Physics, Chemistry, Geography, Biology/Agricultural Science or Economics at not more than two (2) sittings. Complete List of FUTMINNA Postgraduate Courses and Requirements – PGD. A Higher National Diploma (HND) in Animal production from a recognized Institution with Overall aggregate of not less than Lower Credit (Minimum CGPA of 2.50). A Bachelor Degree in Agriculture and Allied Discipline such as Vetinary Medicine, Biology, Botany and Zoology with a minimum of a Second Class (Lower Division) or its equivalent for unclassified Degrees. Minimum of five (5) Credits at ‘O’ Level WAEC, NECO, GCE or NABTEB which must include English Language, Mathematics, Agricultural Science/Biology, Chemistry and any other Science Subject but at least a Pass in Physics is required. A Higher National Diploma (HND) in Agriculture from a recognized Institution with Overall aggregate of not less than Lower Credit (Minimum CGPA of 2.50). A Bachelor Degree in Agriculture and Allied Discipline such as Vet, Medicine, Biology, Botany and Zoology with a minimum of a Second Class (Lower Division) or its equivalent for unclassified Degrees. Minimum of five (5) ‘O’ Level Credits as stated in b(ii) above. BEng from a recognized University with a minimum of Third Class. Higher National Diploma (HND) in related field from any recognized Polytechnic or any recognized institution with a minimum of Lower Credit. BTech or BEng. with a minimum of Third Class in any relevant field. Minimum of five ‘O’ Level Credits to include Mathematics, English Language, Economics, and any other two Science or Social Science subjects. Minimum of Lower Credit in HND from NBTE approved Institution recognized by FUT Minna. Minimum of Five ‘O’ Level Credits to include English Language, Mathematics, Physics, Economics and any other Science or Social Science a pass in Chemistry or Biology. Minimum of 3rd Class Honours Degree from FUT Minna or any other approved University in the field such as Quantity Survey, Project Management, Building Engineering, Urban and Regional Planning, Estate Management, and as may be determined from time to time by the Department Board, in line with the admission requirement. i) HND in Transport Management, Management Planning and Engineering field with minimum of Lower Credit from reorganized institutions. A candidate with at least 3rd Class Honours Degree from FUT Minna, or any other approved University in Environmental Science, Science, Social and Management and Engineering field. iii) Five ‘O’ Level Credits in English Language, Mathematics, Geography, Economics and one Science subject. Higher National Diploma (HND) with a minimum of Lower Credit in Architecture. ii) BTech or equivalent in Architecture from a recognized University with a minimum of Third Class. iii) Minimum of five (5) ‘O’ Level Credits which must include English Language, Mathematics, Physics, and any other two (2) of Geography, Biology, Chemistry, Technical Drawing, Economics, and Further Mathematics. Higher National Diploma (HND) from a recognized Institution with a minimum overall aggregate of not less than a Lower Credit. A Third Class Degree in Estate Management. iii) BTech/BSc Degree with not less than Second Class Lower division in related disciples of the Federal University of Technology. iv) Minimum of five ‘O’ Level Credits to include English Language, Mathematics, Economics and any of the following Physics, Chemistry, Geography, Technical Drawing and Biology/Agricultural Science. c) Department of Urban and Regional Planning. Higher National Diploma (HND) with a minimum of Lower Credit in Urban and Regional Planning or related field. ii) BTech or equivalent in Urban and Regional planning from a recognized University with a minimum of Third Class. iii) Minimum of five ‘O’ Level Credits to include English Language, Mathematics, Economics, Geography and any of the following Physics, Chemistry, Technical Drawing and Biology/Agricultural Science. i) A Higher National Diploma (HND) Certificate in Biological science (e.g) Microbiology, Biochemisrty, Botany, Zoology and Biology, Food Science and Technology, Nutrition and Dietetics etc from a recognized Institution with overall aggregate of not less than Lower Credit. A Bachelor degree (B.SC/B.Tech) in Biological Science, Food Science, Medical and Health related disciplines such as Biochemistry, Botany, Zoology, Biology, Food Science and Technology, Nutrition, Dietetics and Pharmacy with a minimum of Second Class Honour (Lower Division). A Minimum of HND at Lower Credit in any related discipline or First Degree with a minimum of Third Class from any recognized institution. A minimum of HND at Lower Credit in any related discipline or First Degree with a minimum of Third Class from Environmental/Social Sciences and Engineering background. Minimum of Third Class Bachelor’s Degree from a recognized Institution. Minimum of five (5) ‘O’ Level Credits including English Language, Mathematics and three other Science subjects. i) BSc or BTech/BEng from any recognised Institution with a minimum of Third Class Degree. HND in Computer Science from a recognized institution with a minimum of Lower Credit. Minimum of Five ‘O’ Level Credits to include English Language, Mathematics, Physics and any other two relevant Science Subjects. ‘O’ Level Entry Requirement: Minimum of five (5) ‘O’ Level Credits in English Language, Mathematics, Physics and any other two Science Subject. Minimum of five (5) ‘O’ Level Credits in English Language, Mathematics, and any other (3) subjects. From Geography, Physics, Chemistry Biology, or Agricultural Science and Economics or Accounting or Government. Third Class in B.Tech Library and Information Technology or Bachelor of Library and Information Science from any recognized University. i) Minimum of five (5) ‘O’Level English Language, Mathematics. Physic, Chemistry and Biology or Agricultural Science. ii) Candidate applying for this programme mush have in their First Degree a minimum of Third Class and in the case of HND a minimum of Upper Credit in Agricultural Engineering or any other equivalent Engineering qualification from recognised University or Polytechnic. Recognized Polytechnic or any recognized Institution with at least Lower Credit grade. HND in Civil Engineering, Mechanical Engineering, Electrical Engineering or Agricultural Engineering from any recognized Institution. BSc or BEng with Third Class in Chemical Engineering. Minimum of five (5) ‘O’ Level Credits which must include English Language, Mathematics, Physics, Chemistry and any other Science subject. Civil Engineering or Water Resources Engineering. ii) BEng from a recognized University with a minimum of Third Class. Higher National Diploma (HND) with a minimum of Lower Credit in Mechanical Engineering. ii) BEng or equivalent in Mechanical Engineering from a recognized University with a minimum of Third Class. Minimum of Third Class Bachelor’s Degree in Sciences, Engineering and Environmental Sciences from recognized institutions. Minimum of Lower Credit in Higher National Diploma (HND). Minimum of Five ‘O’ Level Credits including English Language, Mathematics and any of Geography, Biology/Agricultural Science plus any two Science or Social Science subjects. CENTRE FOR HUMAN SETTLEMENTS AND URBAN DEVELOPMENT. Postgraduate Diploma in Sustainable Urban Development (Full-time only). Minimum of five (5) ‘O’ Level Credits including English Language, Mathematics plus any other relevant subjects.